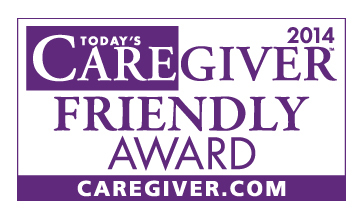 Simple Idea: Keep informed about services being performed for you! Using sensors and other "smart" capabilities of mobile phones, we can verify activities of people that perform tasks, and keep the person that requested the task informed. 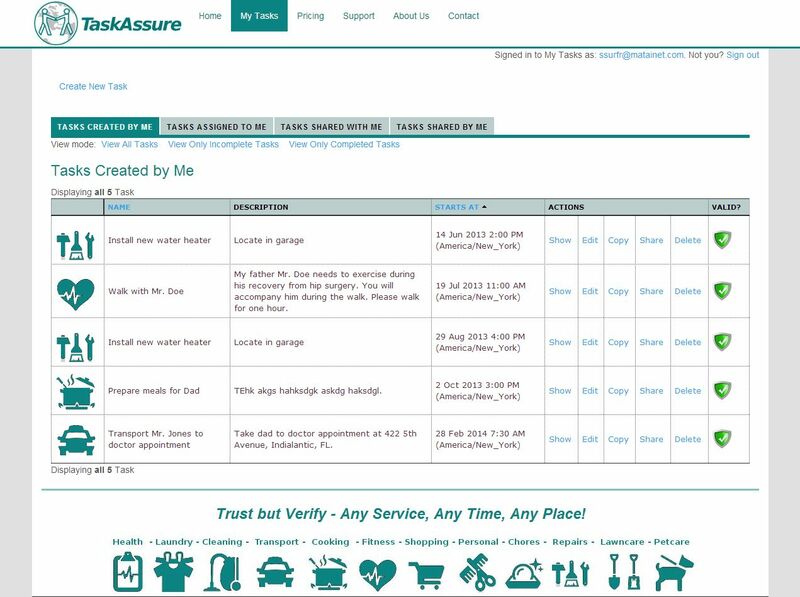 If you want to assign tasks to your helpers, use TaskAssure's service right here on the My Tasks page or use our mobile phone app. 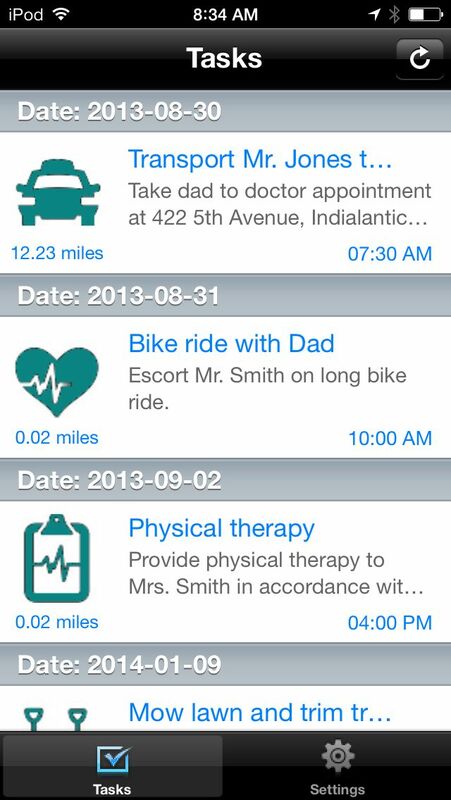 If you perform services for others, use TaskAssure's mobile phone app to keep them informed with almost no effort. When it is time to pay you, your client will have no doubt you have completed the task. A simple one page form lets you define a task and assign it to your helper. A second options page lets you define task-specific verification and notification options. Your main task list gives you a quick way to see what's happening. 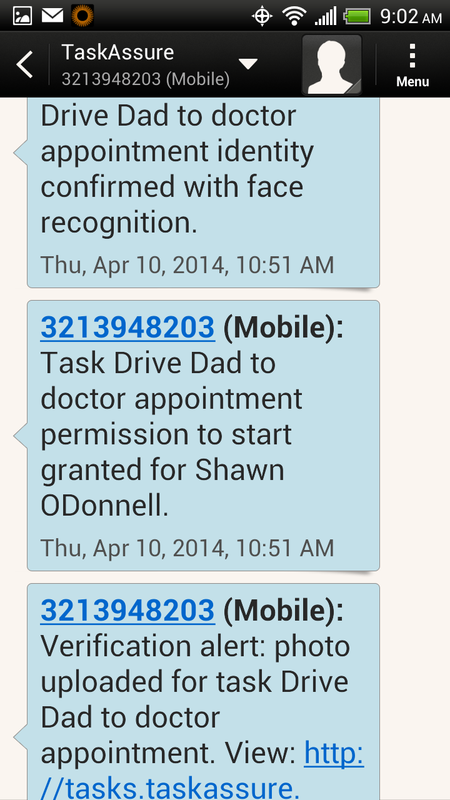 Receive progress notifications as text messages or email! Tap any task to see more details and start the task. Review all of the information provided by the person that assigned your task. 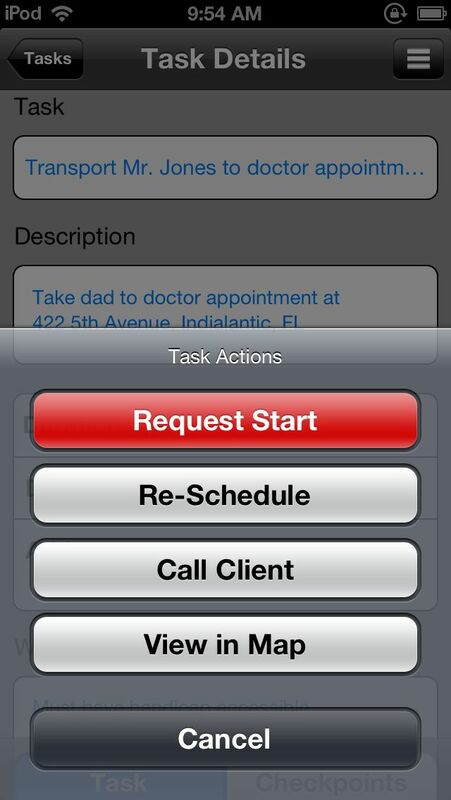 Tap Request Start to let TaskAssure know when you are ready. 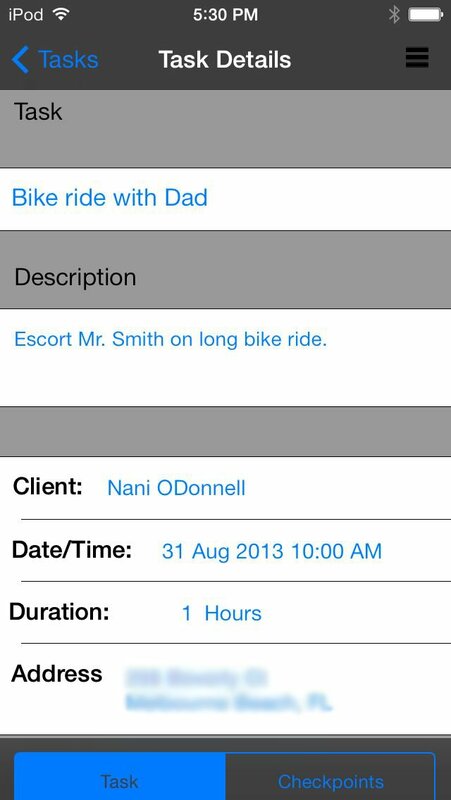 Easily keep your clients informed! 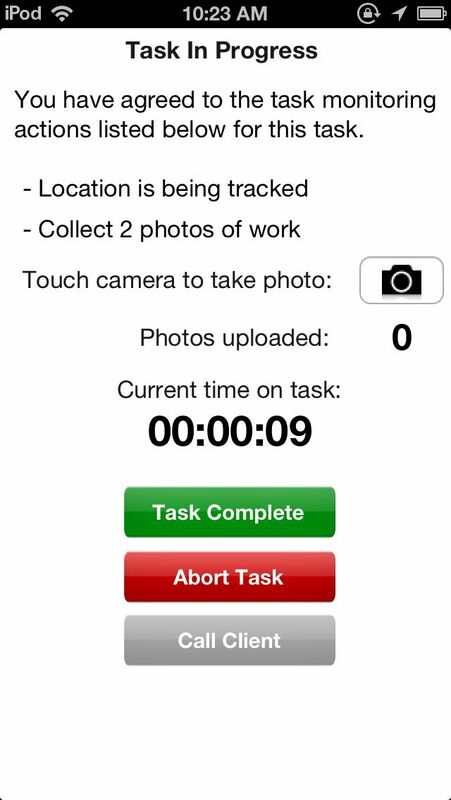 TaskAssure monitors information according to the client's wishes, and allows you to easily upload photos. You won't need to provide task status reports, and when it is time to pay you, your client has proof of performance at their fingertips. Want to see more? Watch our demonstration video. Businesses: Add Task Assurance Now! The simplest way to get started is to get the (free) TaskAssure mobile phone app and use it to Sign Up. If you will use TaskAssure to assign tasks - rather than to perform tasks - you don't need a mobile phone, and you can start now by creating an account. Create accounts for your helpers! 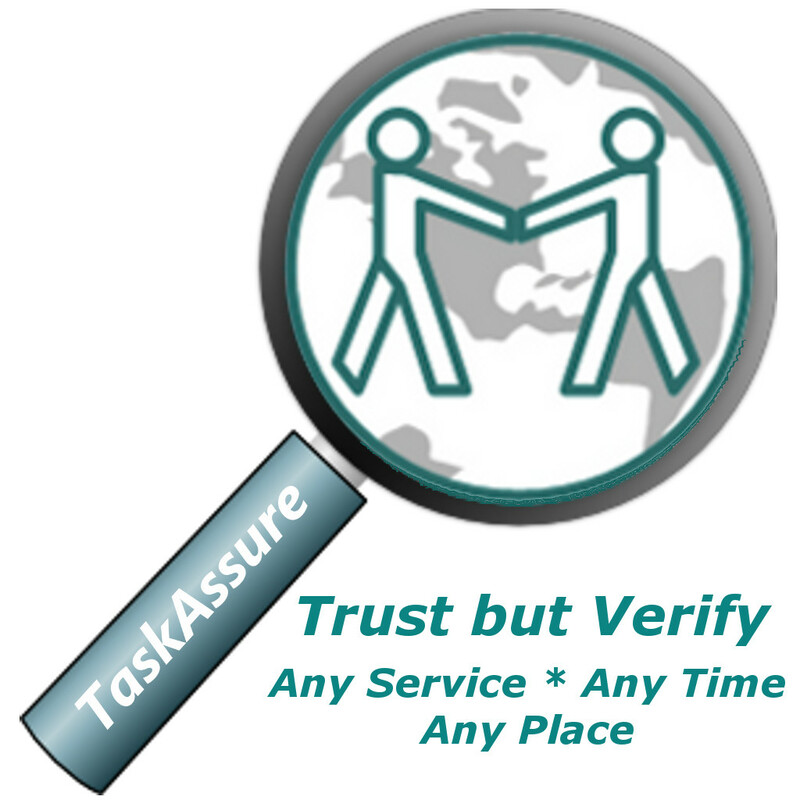 TaskAssure Pro Assurance for people managing services for multiple clients or properties! Pro Assurance includes additional management and reporting features to help you handle large numbers of tasks, for multiple clients or properties.